AB Cleaners is the company you need to give your property a thorough deep cleaning session, after the builders have rolled out. Our expert London based one off cleaning service is ready made for dealing with construction waste. We use the latest technology and modern equipment. We’ll ensure that all traces of the build are removed. Paint marks, dust and grime, rubble and debris: we’ll take away the lot with speed and efficiency! All our cleaning products will be environmentally friendly, so safe for you and your family. 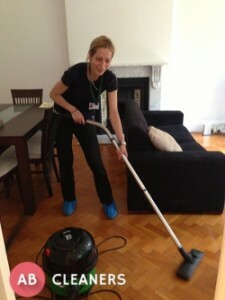 We’ll guarantee a deep clean to reach every corner, and leave your premises looking fantastic. 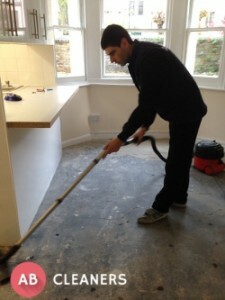 We’ll also pay great attention to detail, cleaning your property from top to bottom, at some of the most affordable and competitive prices in the London area. 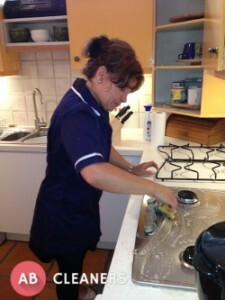 All of our cleaners are highly qualified and trained, and specialised in after builders cleaning. Our team also benefit from full insurance cover so when we’re on your premises, you are fully protected. Rest assured that we are dedicated to providing you with complete customer satisfaction. Call our customer service advisers today on 020 3404 1927,and our friendly team will be able to give you all the information you need. Our phone lines are open 24 hours a day, 7 days a week. Ask about free, no-obligation quotes on any one of our wide ranging after builders cleaning services. Arrange a visit from one of our technicians for a free evaluation. You can also contact us by using the chat facility on our website, where one of our online experts will respond to your queries immediately, or if you prefer, you can fill in our contact form.